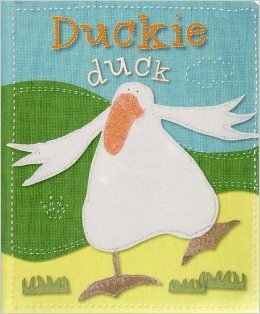 Padded board book with beautiful, hand-stitched illustrations and rhyming text. A delightful, positive story about being different to those around you. This story is about Duckie Duck, who is a little different. We purchased this one after buying the author's "Itsy Bitsy Spider". My son loves looking at the pictures and I think it will resonate with him a little more when he is older since he is adopted.